C.P.S.D.J. Com-pu-ter-ized Per-for-mance Sys-tem Disc Jock-ey, (n) An entertainer who 1: utilizes a personal computer based system that can be programmed to manipulate audio and/or video, symbols, perform complex and repetitive mixing procedures quickly, precisely and reliably; is able to quickly store and retrieve large amounts of data during remote or live performances. 2: entertains at events with pre-recorded or live music. Utilizes music programming skills and emceeing ability, combining a variety of hardware and software combinations. Click here to download registration form. Discounted registration is in effect with lunch passes. Click here to reserve your hotel room at the Atlanta Airport Westin. Discounted hotel room rates are now in effect. Click here to reserve your seat for the 2008 Summit. Have you every found yourself rushing to a seminar during a DJ convention to find it standing room only? We are the first DJ event to introduce VIP Asigned seating, stay up and network as late as you want, even sleep in, your reserved workstation will be waiting. You will have your very own "reserved" workstation that includes electrical plug-ins for your laptop or other devices, data-port plug-in with task lamp and ergonomically designed seating. 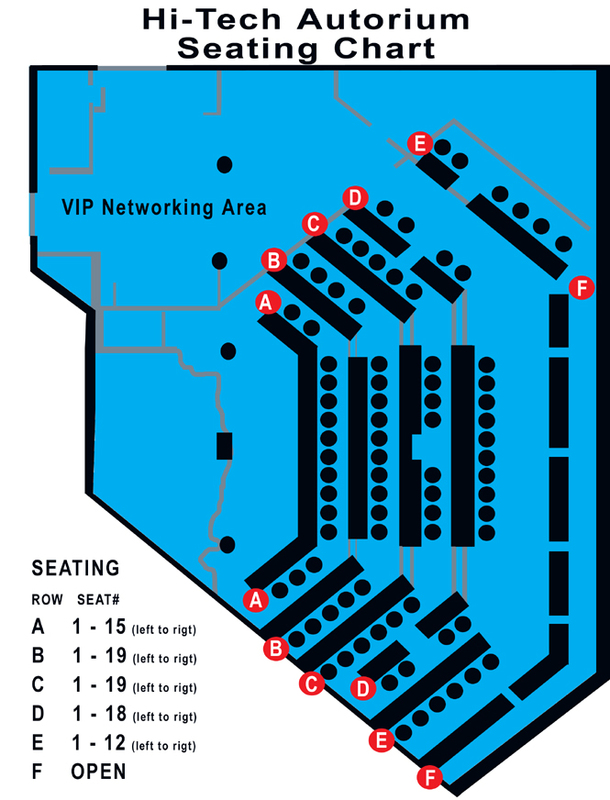 As a smaller industry event it gives us the ability to offer the best in comfort and technology. Purchase two (2) or more CPS DVDs for only $49 each. If you dont already own this educational series, you should be all over this special offer... The CPS Summit Director wants you to experience what has been happening at the Nations only dedicated Computer DJing convention. In 2008 the CPS Summit will be held in Atlanta, Georgia, where it all began in 1995 and we want you to see personally the wealth of information shared during this event. 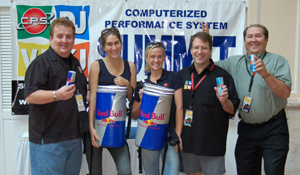 With the 2007 Summit in the record books our team is proud to present our secret to long hours of networking and learning Red Bull! 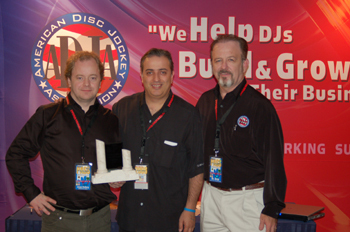 The addition of the Visit to the LDI showroom in Orlando was a major hit for the 2007 Summit attendees. We will miss Tampa as we begin plans for the 6th Annual CPS DJ/VJ/KJ Summit to be held in Atlanta, Georgia where it all began. Some very interesting additions are in the works for the 2008 event so stay tuned. This year the C.P.S. Awards presentation started off the 2007 Computer DJ/VJ/KJ Summit in Tampa, Florida. Hosted by C.P.S. Educational Department, the C.P.S. community recognized several individuals in attendance for outstanding industry contributions, industry service, and talent with the prestigious C.P.S. Awards. The Awards are an opportunity for colleagues to celebrate and publicly recognize the achievements and services of individuals for the betterment of our industry. The presentation was made at the beautiful grounds of Sheraton Suites Tampa prior to the first scheduled seminar of the 2007 DJ Summit, attended by a number of industry professionals who enthusiastically supported their colleagues in recognition of their success and accomplishments. With the new version of our site we added a lot of great new features. With the launch, however, we had to take down our community forums for a while. We discovered that many of you were fans of the forums, as we received a number of emails asking, "Where are the forums?" Our programmers have been working on them for the past couple of months and we're happy to announce that they're back! What can you do on the forums? Connect with other CPS users about equipment, the ups and downs of computer DJing, certification, Summit, industry news and much more. You can also share your experiences and ask or answer questions. Click here and try them out remember you must use your real name (like this S.Ownes), when creating an account. We would like to acknowledge and offer a very big THANK YOU to all attendees, sponsors, and supporting vendors of the 2007 Summit. You are visionaries and pioneers in the building of our foundation. Without your support we could never have accomplished the inspiration of 9 years ago. Congratulations to all the CPS industry award winners and we will see you again in Atlanta November, 2-3-4, 2008. Advanced registration offers coming soon.